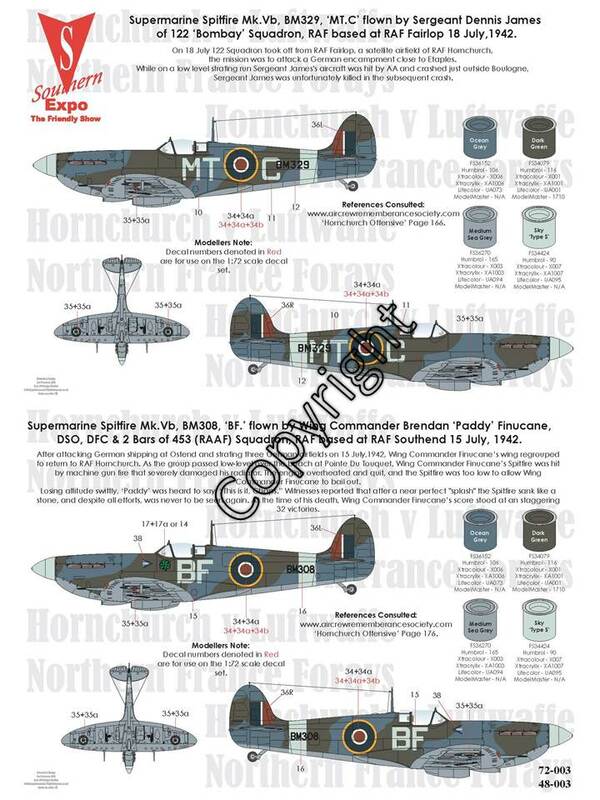 In 2010 we reintroduced the production of a modelling related product in the form of some specially commissioned decals in 1/72nd and 1/48th scale. 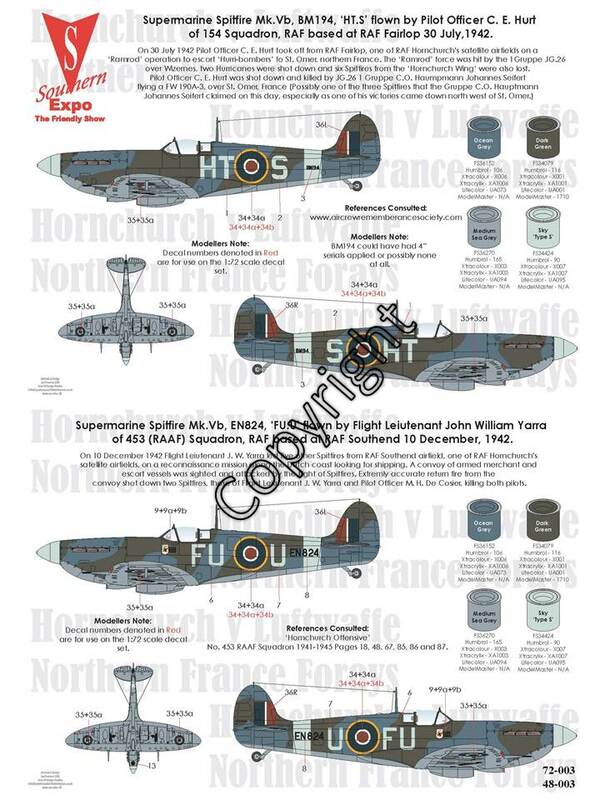 This year we continue with the theme of aircraft which flew from RAF Hornchurch and some of their opponents. 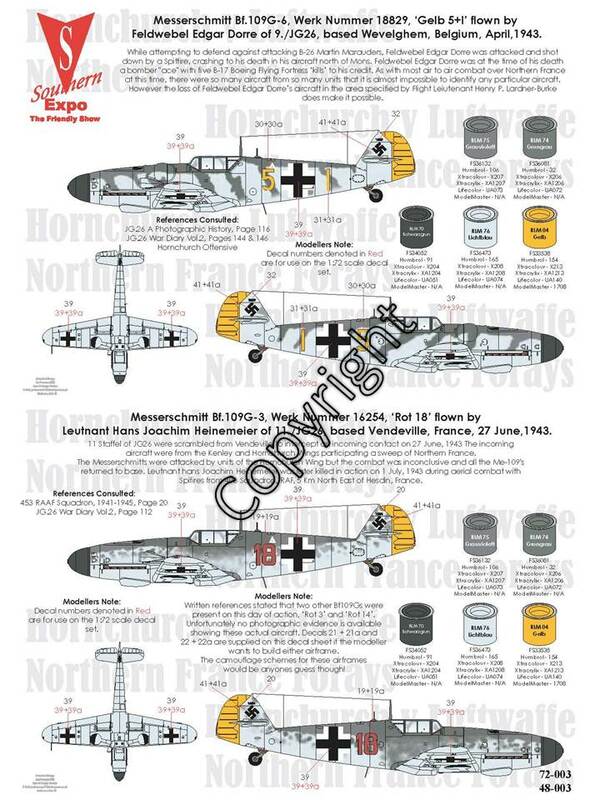 This year we move forward in time to post 1941, "Forays into Northern France". 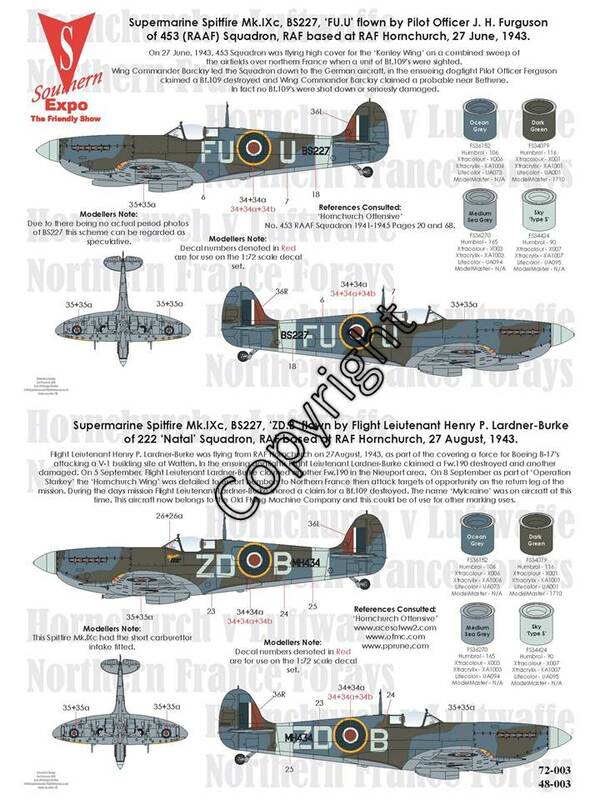 The subjects covered on the decals were researched over a 6 month period by the organisers and covers 4 Spitfire Vb, 2 Spitfire IX, 2 Bf-109G and 2 FW 190A. As ever all the profits from their sale will be donated to the St Francis Hospice. 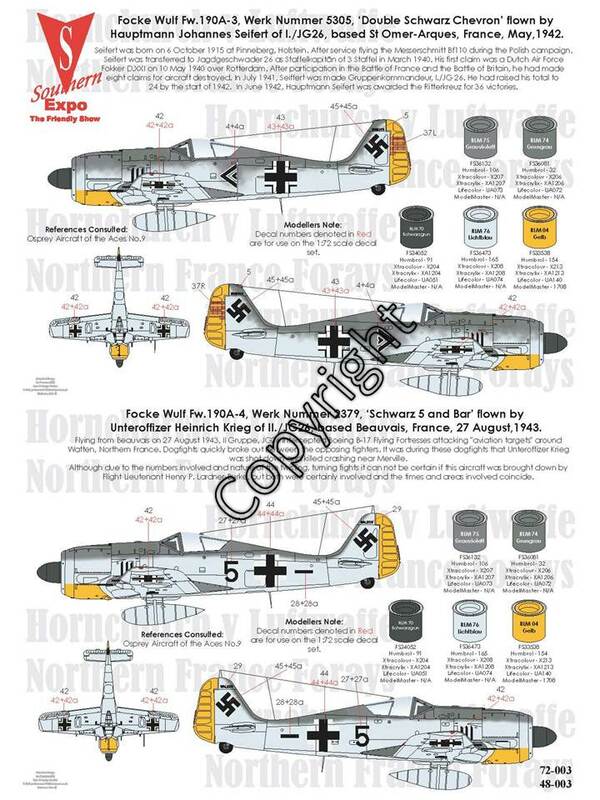 & 1/32nd scale ( Click here for information on these sheets.). These sheets will be on sale at the show for £5.00 each, show special price, normally £7.50 each. and also stock of the 2011 sheets "The Lean into France"